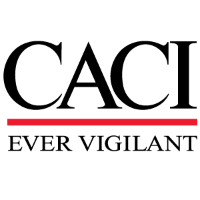 CACI is seeking a Field Engineer to support our customer in Southwest Asia; position will be based at one of six (6) OCONUS bases. Provides senior level technical support for customer/company integrated systems. Performs complex systems installations and maintenance in austere environments. Tests, repairs and troubleshoots sensors, network, video and RF equipment. Performs work that involves conventional engineering practice but may include a variety of complex features such as conflicting design requirements, unsuitability of standard materials, and difficult coordination requirements. The Field Engineer will be responsible for all engineering, planning, commissioning, materials and all other technical services essential to support the engineering and installation activities at the client site. Participates in day-to-day activities related to the operation, maintenance, and repair of the clients/company’s suite of products. Serves as the first escalation contact for customer support issues. The Field Engineer shall support the maintenance, inspection, adjustments, reconfiguration, and introduction of new or advanced security technology including testing. Work closely with the site’s Force Protection and Security Forces personnel on all security system issues. Provide technical expertise and maintain all security systems at designated sites, perform security site surveys and installations as required by Force Protection staff. Perform security site surveys as required by Force Protection staff. Provide initial and/or refresher training on equipment for personnel assigned to administer and/or operate the system. Train personnel on operational, field-level, or depot. maintenance, as well as higher headquarters procedures. Responsible for planning, organizing and managing a project or a definable piece of a larger program for successful completion and performance consistent with contractual agreements. Help local Force Protection Commanders develop security system subject matter experts within their command and make recommendations to the Security Forces Commander on the placement of new or upgraded equipment. Possesses a bachelor’s degree in an engineering discipline or computer science. An additional four (4) years of experience may be substituted for the degree requirement. Possesses a minimum of five (5) years technical experience relating to physical or electronic security system projects. Must have Active DoD Secret Security Clearance. Ability to work as an active member of a team. Ability to routinely lift items weighing up to 50 pounds. 100% TDY at customer site locations. PMP Certified from accredited institution. Basic understanding of USAF Security Forces guidelines and regulations (AFI 31-101 and ESS Equipment Siting Guide. Proficient with MS Office Suite, including MS Project.